The Washington Symphonic Brass heats up Annapolis with a night of Latin rhythms and melodies on Saturday, October 13, at 7:30 pm at St. Anne’s Church on Church Circle. From the rustic pampas of Alberto Ginastera’s “Estancia” to the cosmopolitan “Libertango” of Astor Piazzolla, listeners will experience the full range of South American music and its Spanish roots. As always, students with valid IDs attend free. All the WSB’s core players perform with the area’s best symphony orchestras including the National Symphony, the Baltimore Symphony and The Philadelphia Orchestra as well as in the area’s military service bands and other DC-area performing ensembles. Fans leave WSB performances cheering and with toes tapping. Equally at home with everything from Baroque music to Big Band, the WSB has produced several successful CDs. 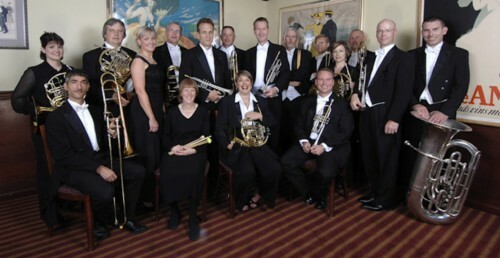 The WSB was founded in 1993 by the late Milton Stevens and trumpet player/principal arranger Phil Snedecor. This concert is co-presented by Live Arts Maryland, home of the Annapolis Chorale, and St. Anne’s Church. All students with valid IDs and under 18 may attend free of charge using Live Arts Maryland’s Student Rush ticket program. Adult tickets are $30 (with a $3 service fee) and are available now online www.liveartsmaryland.org or by calling 410-263-1906.